I think that Gamay is an overlooked local red. So much tasty flavor and zesty refreshment – it’s perfect for summer. 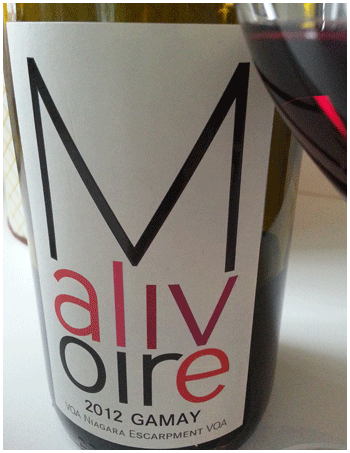 What I love about Malivoire’s Gamay is the vitality, the vivacious character. So lively, so confident, so playful, and so much fun to drink. While it’s a bit like the mother wine – Beaujolais, it feels more earthy. A truly local experience in red wine. Give richness and smoothness a rest and get-going with Gamay. Great with any food. Lightly chill and sip as you prepare supper. The low alcohol is perfect for patio lunches.